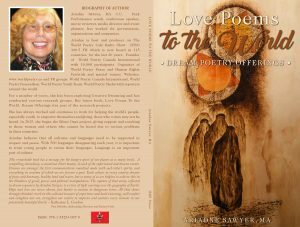 Ariadne’s Notes: On April 18, 1-2 pm PST, hosts Koyali Berman and Jacqueline Maire joined me in a celebration of my new book, Love Poems to the World , Gift Offerings. I would like to thank them for the wonderful launch as well as our amazing Tech Victor Swartzman and special volunteer Sharon Rowe. To the wonderful Afghan artist Mirwais Jabaz , a humanitarian who has helped so many refuges , sharing his work and art. He gave permission for one of his paintings to be used as the cover of the book, thank you. Great thanks also to the First Nations Elder, Gabriel Bartleman who apprenticed me when I was getting my MA, Vera Manuel ; my soul sister who kept pushing me to finish the book, in person and in dreams who believed in me and sent a powerful dream poem that is in this book. The book would not have been possible without the support and encouragement of Katherine L. Gordon and the kindness and support of Mamta Agarwal who kept encouraging me. The radio show included poems from the book selected by readers and reviewers. Some of these are posted below. I am so grateful for the great response to the book which has now has been placed in libraries in various countries and will work on a free e-book that can be offered to our 10,000 WP participants in the world. This book began as a result of my association with the Tsartlip Elder, Gabriel Bartleman who became my lay advisor for eight months while I was working on my MA in Psychology and gave me the gift of apprenticing with him. He told me: “Ariadne, the Earth needs love and caring. It is wounded.” Then he mentioned the First Nations visions and dreams and how elders could go out to wounded places and stay there until there was healing. He also mentioned how dreams reach out and try to contact the sleepers, channeling and guiding the dreams that are needed to help the world. I have had dreams before but did not remember most of them so embarked on a program of research starting with ancient cultures, Greek, African, Persian, Chinese and First Nations from all over the world. I also learned about lucid dreaming, healing dreams, dream friends and advisors, pre-cognitive dreams and the importance that they played in many cultures. One of the biggest tasks on my journey was learning how to listen and record. I found that the best way for me was to think about something I had seen or heard during the day, go to bed with paper and pen and usually about 2 am, I would get a clear dream. I would listen and write it down in the dark, since I found that if the light was on, I would lose the dream. This led to some harrowing times since when I awoke in the morning, I found that I had written over some of the words and had to use a “fishing method”, remembering the last segment and pulling the rest out hopefully like a line of fish. After some time I could write quite clearly and happily continue on. The next morning if I had time, I would read the dream gifts and type them in along with my notes. The dreams that are in this book are not altered since they come from another place and are not really mine. There are many methods for dream recall and recording but I am sharing the way that worked the best for me. During this time, I had a dream research group on line and created a course for them. It was very helpful in my own dream life since their support and kindness added greatly to the creation of this book. It was also interesting to hear from them what they were creating from their dreams, books, CDS, poem, scripts and healings. There is a lot of information on dreaming and I would urge you to do research and create what works for you. My essence floats on the wind, hitching a ride on the occasional white cloud. visits the special spots of the beautiful blue planet. mathematical experts, each flower a work of meticulous design. Incomparable sand sculptures ever changing. Skimming over the oceans, reflections of peaceful seas, shimmering tones of silver, streaks of gold. Changing to violent storms, gales, whirling wind and spray. Thick jungles, teaming with life, vibrant rioting colours, unknown herbs, medicines, creatures rarely seen. Mountains with lakes and valleys, an aura of ancient beingness. Huge peaks, dressed in white, caressing the sky. Satiated, my essence floats on the wind. Giving thanks to this blue world. Note: A wonderful lucid dream poem. I traveled the world and felt so light and free when I woke up-still flying. Poem selected by Katherine L. Gordon, poet, critic , mentor and reviewer. I sit on the floor in an empty room. A hole , a pit. Waiting for the next torture. I try to strengthen my mind, prepare myself for the pain, the horror. The door clangs open, they are here. I am in the room-the room of terror. They yell at me, then act nice, give me water. Offer me cigarettes, say I am beautiful. Give me electric shocks, blindfold me,cut me. I think I am drowning. I have forgotten how to answer, my head is pounding from the blows. remember my students and the other teachers. They bring in snarling dogs to attack and abuse my body. I am back in the hole, isolated, beaten aching, dirty. They want information I can’t give, names I don’t have. The faces of teachers at my university flash, no names are coming. It is time to stop the torture. It is time to get along, all peoples, views, and religions. What was once an enemy can be a friend. Please world, send love to the tortured and the torturers. With love, the torture may go away. No one will have to wait in terror. Listening to the door crack open and the next session to begin. This was a client from the Middle East that I worked with in BC. She had been a university professor and was picked up to be made an example to others. This was such a powerful dream that I was considering not using it in the book. She called me and I read the poem to her. She asked me to go ahead and include it since torture is a worldwide phenomenon. During the period of three years, I did volunteer work with 146 survivors of torture, many of them from Survivors of Torture organization in Victoria, Canada. Thanks to Amnesty International and others, she was released and went to New York where she was fearless even in the most dangerous situations. She walked the worst streets at night. She came to BC married, started teaching again. Then the entire trauma came back. When she came to see me, she was terrorized of dogs and noises. She is doing much better now and has a mostly normal life and is able to teach in University once again. She still does not like dogs and has to take precautions. Unfortunately, torture is alive and well in the world, causing pain and suffering all over the planet. Unfortunately, torture is alive and well in the world, causing damage to at least seven generations. I agree with the poem. It is time to stop the torture. She endorsed this poem saying that it was important since it happens in many places in the world. In the partly lucid dream I was with her and it was a hard one to be part of and then write it down. I am a football girl. I love the beautiful game. Every morning, I train for the tryout. I get up early, pick up my pallet and carefully step over the little ones. Go to practice in a quiet place, uncle watches to be sure I am safe. The air blows through my hair, playing with it, drying the sweat. I feel transported to a new powerful place. My body is joyful, I am happy; I am flying through the air! Suddenly, I fall grasping the ancient dirt of the pharaohs in my hands. Jumping off the ground, carrying the dust with me under my fingernails. It is an art; it is a dance with a ball. My uncle goes with me, disapproving. He asks me why I do not wear my scarf. stay in her room instead of the street. Girls do not play football uncle says, shaking his head at it all. He loves me, my grandmother needs the money. She cries about being thrown out, she is afraid. I yearn to be in the team. I pass, I am in. My grandmother laughs; she can keep the room and all of us. My uncle is happy yet sad. New ways are coming he says. Note: This poem came from seeing a remarkable documentary on an Egyptian woman who creates girl football teams despite resistance. She created a number of girl’s teams that play each other and even boy’s teams. This was the poem about Neda, a young girl who tries out for the team and illustrates some of the changes that are happening in Egypt. When I woke up at 2 AM, I could feel sore muscles and dirt under my nails. This was one of the most powerful lucid dreams that I had. The feelings of freedom, of flying through the air, my running muscles in over drive and sore lasted for some time. Selected by Mamta Agarwal, well known poet and writer. Respect , Peace and Love. This entry was posted in Ariadne's Notes, Featured musicians and artists., Featured Poets, General and tagged Author Sharon Rowe, International Peace Award Ariadne Sawyer, Jacqueline Maire, Kagan Goh, Katherine Gordon, Mamta Agarwal, Mirwais Jabaz., Victor Schwartzman on April 25, 2019 by Ariadne. 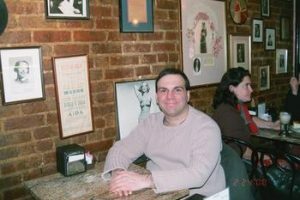 Ariadne’s Notes: At long last World Poetry Canada International welcomes the talented poet and writer James Berkowitz to our participants around the world! For all of you that are waiting to be featured, I have not forgotten you and will post as soon as I can. By James Berkowitz (C) All rights reserved by the author. James Berkowitz is a poet, writer, performer, and producing artistic director for the Venice Art Crawl. Recent credits include literary and art journals “Levure Litteraire 14”, “San Francisco Peace and Hope”, and “Edgar Allan Poet Journal # 3”. Anthologies ZZyZx WriterZ “Intersections”, “The Revolutionary Poets Brigade – Los Angeles”, “Men in the Company of Women”, and ”Los Angeles Poetry Society Features” amongst several publications and media where his work is recognized. He is a human camera of observation and loves the magnificence of nature in its many settings as well as the pulse and stimulation of city streets. His greatest reward is connecting with other sentient beings. This entry was posted in Ariadne's Notes, Featured actors, Featured Filmmakers, General and tagged International Peace Award Ariadne Sawyer, James Berkowitz, World Poetry Canada & International on April 22, 2019 by Ariadne. 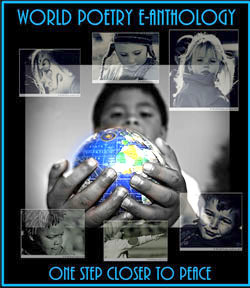 Ariadne’s Notes: A wonderful World Poetry Café radio show on April 11 at 1:30 PM, PST! The talented Ran Blake called in and told us about his new CD and ended the show playing the piano with a piece called Memphis that remembered the great Martin Luthor King Jr and what he wrote in his jail cell on a bit of newspaper for the world! What a wonderful and inspiring interview! In a career that now spans five decades, pianist Ran Blake has created a unique niche in improvised music as an artist and educator. With a characteristic mix of spontaneous solos, modern classical tonalities, the great American blues and gospel traditions, and themes from classic Film Noir, Blake’s singular sound has earned a dedicated following all over the world. His dual musical legacy includes more than 40 albums on some of the world’s finest jazz labels, as well nearly 40 years as a groundbreaking educator at Boston’s New England Conservatory. Long before the invention of virtual reality, Blake began mentally placing himself inside the films and real life scenarios that inspired his original compositions like “Spiral Staircase”, “Memphis” and “The Short Life of Barbara Monk”. The influence of the Pentecostal church music he also discovered growing up in Suffield, Connecticut, combined with his musical immersion in what he terms “a Film Noir world,” laid the groundwork for his earliest musical style. That early style would become codified when he and fellow Bard College student and vocalist Jeanne Lee became a duo in the late 1950’s. Their partnership would create the landmark cult favorite The Newest Sound Around (RCA) in 1962, introducing the world to both their unique talents and their revolutionary approach to jazz standards. This debut recording would also show the advancing synthesis of Blake’s diverse influences with its haunting version of David Raksin’s title track from the movie Laura and his original tribute to his first experience with gospel music, “The Church on Russell Street”. The Newest Sound Around was initiated and informally supervised by the man that would be come Blake’s most significant mentor and champion, Gunther Schuller. The two began their forty-year friendship at a chance meeting at Atlantic Records’ New York studio in January 1959. Less than two years earlier, Schuller coined the term “Third Stream” at a lecture at Brandeis University. Schuller was recording on Atlantic—helping to define his term in musical practice—with future jazz giants like John Lewis, Bill Evans, Eric Dolphy, and Ornette Coleman. Ran Blake came to the label to accept what he calls “a low level position” that allowed him to be near the music of inspirations like Chris Connor, Ray Charles, and Harlem’s famous Apollo Theater. Blake’s long association with Schuller, modern classical music, and Schuller’s controversial term began here, and was forged by years of friendship, collaboration and innovation. One of the only people in the music world who could see the potential of Blake’s unorthodox sounding musical style, Schuller invited Blake to study at the Lenox School of Jazz in the summers of 1959 and 1960. While in Lenox, also home to the classical music mecca at Tanglewood in western Massachusetts, Blake studied with the jazz giants who formed the faculty of this one-of-a-kind institution—Lewis, Oscar Peterson, Bill Russo, and many others—and began formulating his style in earnest. He also studied in New York with piano legends Mary Lou Williams and Mal Waldron. A year after Schuller became president of Boston’s New England Conservatory in 1967, Blake joined his mentor and many one-time teachers and inspirations, including George Russell, as a faculty member at NEC, the first American conservatory to offer a jazz degree. In 1973, Blake became the first Chair of the Third Stream Department, which he co-founded with Schuller at the school. He still holds this position—though the department was recently renamed the Contemporary Improvisation Department to address both its expansion from Blake’s own additions and the outdatedness of the term. Blake’s teaching approach emphasizes what he calls “the primacy of the ear,” as he believes music is traditionally taught by the wrong sense. His innovative ear and style development process elevates the listening process to the same status as the written score. This approach compliments the stylistic synthesis of the original Third Stream concept, while also providing an open, broad based learning environment that promotes the development of innovation and individuality. Musicians of note Don Byron, Matthew Shipp, and John Medeski have studied with Blake at NEC. Although Blake’s teaching career would soon become the second half of his dual musical legacy, his career as an influential performer and wholly individual jazz artist is his main source of fame. Following Jeanne Lee’s departure to become one of the premier vocalists in the burgeoning avant-garde, Blake recorded the prototypical Ran Blake Plays Solo Piano (ESP) in 1965. The recording showed a clear refinement of Blake’s style of reinventing popular standards by incorporating his other influences from Film Noir, gospel, his favorite pianist Thelonious Monk, and composers like Stravinsky, Prokofiev, and Messaien. His reputation as the major Third Stream pianist, and later an educator, soon followed, as he could improvise just as easily on a jazz chord progression as a twelve-tone row. From 1965 on, Blake worked primarily as a solo pianist on more than 30 albums. Although most of the music was primarily informed by his Film Noir perspective, many of his most acclaimed recordings are tributes to artists like Monk, Sarah Vaughn, Horace Silver, George Gershwin, and Duke Ellington. These tributes merged with his teaching career by inspiring an annual summer course he still teaches at NEC, thoroughly exploring the music of a single artist. He has also recorded with Jaki Byard, Anthony Braxton, Steve Lacy, Houston Person, Enrico Rava, Clifford Jordan, Ricky Ford, Christine Correa, David “Knife” Fabris, and others, including a 1989 reunion with Jeanne Lee.Most recently, Blake reinvented himself again for a new millennium of fans. Although solo albums like Film Noir (Arista/Novus) and Duke Dreams (Soul Note) earned five star ratings in publications like Down Beat and the All Music Guide to Jazz, 2001’s Sonic Temples (GM Recordings) is Blake’s best received and most critically acclaimed recording in several years. The recording features Schuller’s two jazz musician sons, Ed (bass) and George (drums), whom Blake has known their entire lives and worked with throughout the last 25 years. This is his first recording in the standard piano trio format, an unprecedented statistic for a jazz pianist of his stature. This collaboration, which Gunther Schuller conceived and produced as a testament to the unheard breadth of Blake’s abilities, showcases Blake performing with a rhythm section and features a repertoire of up tempo standards and group improvisations, as well as trademark Blake originals. 2012 marked Blake’s fifty years as a professional recording artist, making him one of most resilient artists in jazz history. In the tradition of two of his idols, Ellington and Monk, Ran Blake has incorporated and synthesized several otherwise divergent styles and influences into a single innovative and cohesive style all his own, ranking him among the geniuses of the genre. The addition of his innovative aural based teaching approach, and the nearly thirty years he has spent influencing future generations of musicians, makes his contributions to the long tradition of jazz even more impressive. 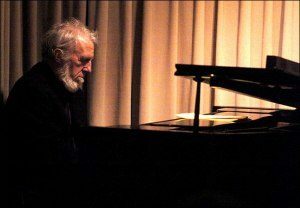 A recent Downbeat review said, “Ran Blake is so hip it hurts … a pianist who can make you laugh at his dry humor one second and wring a tear the next.” His music still sounds fresh and unmistakably unique. In 2012, Ran performed in Portugal with vocalist Sara Serpa, in France with Ricky Ford’s Orchestra at the Toucy International Jazz Festival, and at the Qubec Jazz Festival where he performed solo with Hitchcock’s I Confess (1953). Source by Ann Braitwaite and Katz. Thank you for another wonderful guest! This entry was posted in Ariadne's Notes, Featured actors, General and tagged Author Sharon Rowe, Braitwaite and Katz, International Peace Award Ariadne Sawyer, Ran Blake, Sebastien Heins, Victor Shwartzman on April 19, 2019 by Ariadne.